Many years ago someone asked me, “What is the greatest joy you have about being a catechist?” I responded, “The opportunity to lead someone toward an intimate relationship with Jesus Christ.” That may sound a bit dramatic, but in reality this is one of our primary duties and responsibilities as catechists. One of the most important things we can learn from Christ is his never-ending love for us. He never refuses to love us. We experience his singular and specific act of love for us every time we partake of the Holy Eucharist. Our catechetical efforts should echo this reality with rigor and vigor, as God’s love forms the basis of why we catechize. We are called to ardently reveal the love Christ has for us. That is why our Christian witness is so important in reflecting this love to those we teach. The Catechism of the Catholic Church expresses this love very beautifully because its purpose is to reveal the love of the Father through His Son — a love that will never end. The whole concern of doctrine and its teaching must be directed to the love that never ends. 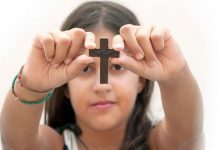 Whether something is proposed for belief, for hope, or for action, the love of our Lord must always be made accessible, so that anyone can see that all the works of perfect Christian virtue spring from love and have no other objective than to arrive at love (CCC, 25). The Catechism provides clear doctrinal continuity and unity of faith handed down by Christ, the Divine Teacher. 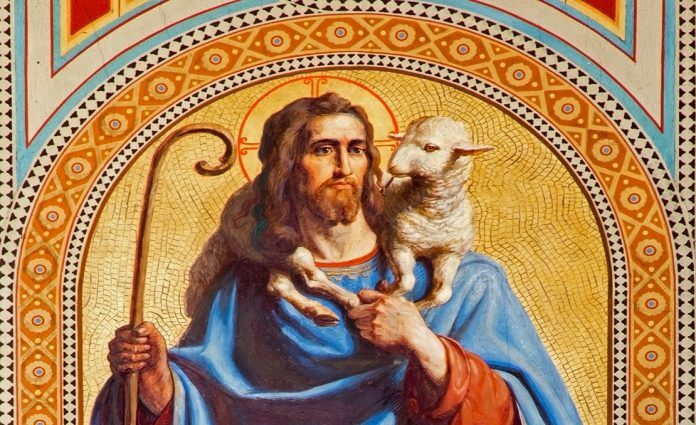 This continuity is expressed by what the Church calls the “deposit of faith,” that is, what Christ handed down to his Apostles and their successors. 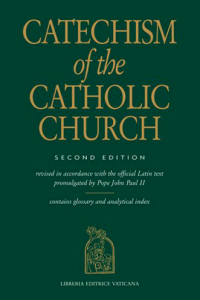 [The] Catechism aims at presenting an organic synthesis of the essential and fundamental contents of Catholic doctrine, as regards both faith and morals, in the light of the Second Vatican Council and the whole of the Church’s Tradition. Its principal sources are the Sacred Scriptures, the Fathers of the Church, the liturgy, and the Church’s Magisterium (CCC, 11). The Catechism of the Catholic Church was promulgated almost 25 years ago, yet sometimes I still encounter one or two objections from certain people: that it is a reference book that should not be used in the classroom, or that it was only intended for priests, religious, and scholars. Yet the Catechism itself takes the opposite view. It states that it is intended for the faithful of the Church, both lay and religious. It is also the catechetical and doctrinal standard by which catechesis takes its rightful place. This work is intended primarily for those responsible for catechesis: first of all, the bishops, as teachers of the faith and pastors of the Church. It is offered to them as an instrument in fulfilling their responsibility of teaching the People of God. Through the bishops, it is addressed … to priests, and to catechists. It will also be useful reading for all other Christian faithful (CCC, 12). A couple things come to mind for new catechists when they see the Catechism. One, that it’s a very big book at about 900 pages. And two, they wonder, “How will I be able to teach from this?” A good place to begin to feel at ease is by first reviewing the structure and content of the Catechism, and then seeking to understand what you see on every page. Start by reading the table of contents. There is a clear, systematic, four-pillar structure: The Profession of Faith (Creed); the Celebration of the Christian Mystery (Liturgy and Sacraments); Life in Christ, also called the life of faith or moral life (the Ten Commandments); and Christian Prayer (Our Father). ✱ The doctrinal content is presented in articles with headings and subheadings. ✱ Bold-print paragraph numbers on the left-hand side of the paragraphs are assigned to a particular aspect of Church teaching within the articles and subheadings. ✱ Italicized numbers are located on either the left or right side of each paragraph. These numbers represent cross-referenced articles or paragraphs within the Catechism that reflect the content of the current article you are reading. ✱ At the end of each section, there is a summary of the key points called “In Brief.” Upon further reflection, perhaps the Catechism doesn’t appear to be as intimidating as at first thought. On the contrary, it is carefully crafted to assist us in learning and articulating the Catholic faith in a clear, cogent, and systematic way. 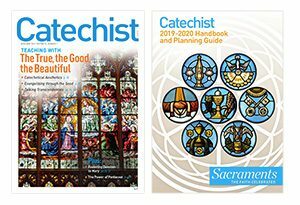 Here are four steps to help you develop the art of using the Catechism in your classes, especially with older children and teens. 1. Select your topic. Use the index at the back of the Catechism or choose from the table of contents in the front. 2. Use the provided Scriptures. Use what the Catechism already gives us. Most often, that means selecting a Scripture for our lesson, for it permeates every section of the Catechism. Thus God’s Word will serve as the foundation and backdrop for your lesson. The use of Scripture offers great clarity and a clear context of what you are about to teach. It also creates a tangible starting point for an opening prayer. 3. Find a key point. Extract one key point from the paragraph that best matches your lesson topic, and learn it well. 4. Share one or two supplemental ideas. If time permits, use additional teachings within the text that flow from, or support, the key point. Using our Catechism text from above, here are some brief notes on how to shape a short lesson, based on one paragraph from the Catechism. Select a topic. Our topic will be how Jesus is a model of holiness for us. I will use paragraph 459 of the Catechism, narrowed down from the many paragraphs listed under “holiness” in the index. Use the provided Scripture. In this paragraph, there are several Scripture references, but I’m going to start with John 14:6, which says that Jesus is “the way, the truth, and the life.” This Scripture is the backdrop to our lesson. Jesus is the way. We are to follow him. He is the truth — the true path for our life. We can also read that verse as part of our opening prayer and ask the Holy Spirit to open up ways for all of us to follow Jesus. Find a key point. This paragraph talks about how “the Word became flesh to be our model of holiness.” It is one of four paragraphs that offer reasons for Jesus’ incarnation (God taking on human flesh) in this section of the Catechism. Jesus lived a real human life and is someone we can imitate. Jesus is our model of holiness. The fruit of following his way and his truth is holiness. Share one or two supplemental ideas. First, paragraph 459 reminds us of Jesus’ example of love as he offered himself up for the sake of others. We might also discuss how Jesus’ love is offered in the Eucharist. When we receive him, we receive his love for us, and we are strengthened so we may imitate him … to love others as he has loved us. If time permits, dig deeper. A sound application of this teaching of how Jesus is our model for holiness is found in the Beatitudes, as paragraph 459 suggests. The Beatitudes truly reflect our baptismal call to be witnesses of holiness. Reviewing the Beatitudes with our students provides a clearer picture of the importance of the Incarnation and the ways we, too, can imitate Jesus. 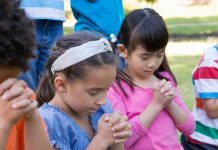 If our catechetical intention is to provide a genuine opportunity for our students to develop an intimate relationship with Jesus Christ, then as much as possible our catechetical teachings should reflect the call to love. Marlon de la Torre, MA, MEd, is the department director of evangelization and catechesis in the Diocese of Fort Worth, Texas. He is author of Screwtape Teaches the Faith and a contributor to Man Up! Becoming the New Catholic Renaissance Man. This article was originally published in Catechist magazine, February 2017.